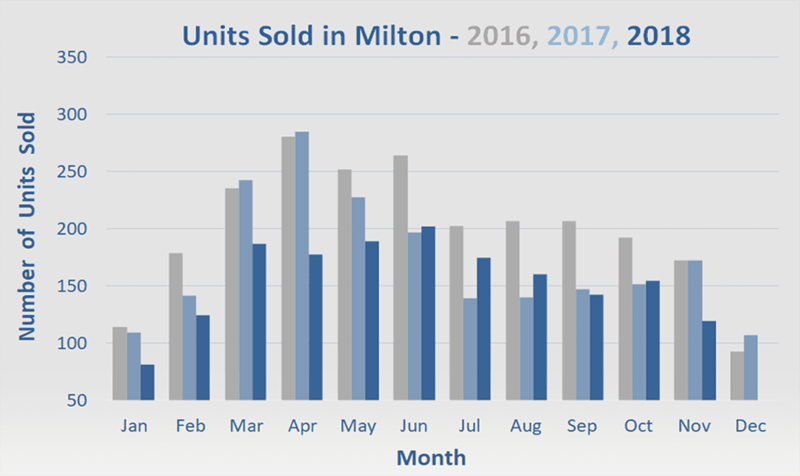 Milton’s 119 residential sales in November 2018 represent a sharp decline of 44.5% in volume over the amount recorded just a year ago. However, they represent a 4.5% increase over the price from the same period. Historically speaking, volume typically goes down after September until it starts to recover again in February. Though this isn’t exactly unheard of (especially in a year where all volume is down), this example stands out due to a lack of higher end properties exchanging hands. Last month we did not even record a single sale over the 1M threshold for the first time this year. While the real estate season is starting to slow down (at least in terms of units sold), we are still seeing product in the sub-700k price point move quickly. If you are considering upsizing, now may be a good time to look into it. 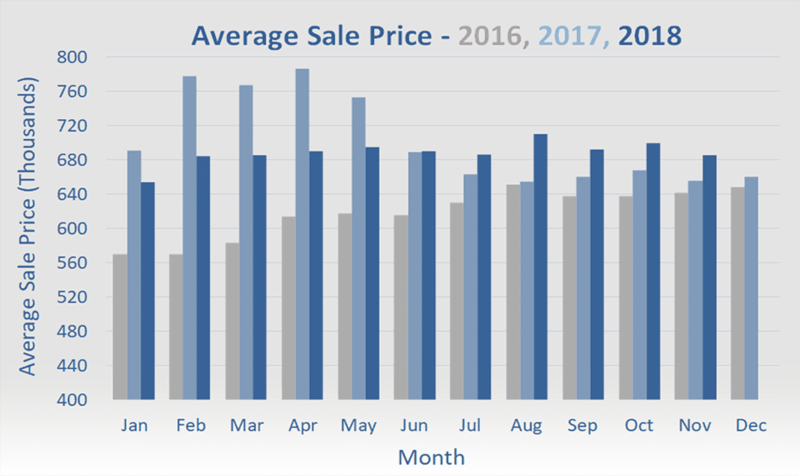 The market for homes over the 850k mark is often a little softer come this time of the year, and now is no exception. With interest rates looking to hold steady after another rumoured potential increase in January 2019, the market should stabilize and we should see a strong spring market come February/March. We’d like to use this opportunity to wish all our readers and friends a happy holiday season. We have had a fantastic year and would like to thank not only our clients, but anyone who takes the time to read this newsletter. We put a lot of effort into our product and love helping to keep Milton informed on all matters real estate. We encourage you to give us your input; feedback or suggestions are always welcome and we’re always looking for ways to improve.